Our services are complex and all under one roof. Thanks to the area of the site and the layout of the traffic, we are not limited by the volume of the processed material. We also have loading ramps for receiving and expedition of material or products loaded on trucks for the realization of large-volume orders. Our main focus is on welding steel products. We also offer welding of aluminum and alloy products. We weld on fifteen semiautomatic welding aggregates with MIG / MAG technology. The welding of metal products in the protective atmosphere. Welding in accordance with ČSN 05 0601, ČSN 05 0610 and ČSN 05 0630. 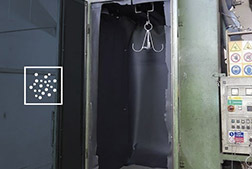 We offer our customers fully automated cabin blasting of metal products, excluding products made of mixture of stainless steel materials including sharp edges products. Wrapping into protective films, palletizing, product placement in displays, etc. We also provide transportation of finished products upon a customer´s request. We are engaged in the preparation and welding of metal products for almost 25 years. We have rich experience, thanks to which we can also meet the demanding requirements of our customers. For our customers, we provide complete services in the field of metalworking from material preparation, welding, grinding to quality control, packing and shipping. We are a company with minimum employee turnover, we take care of our employees and we have a permanent team of experienced professionals who guarantee the quality of our services. We weld on fifteen semiautomatic welding aggregates with MIG / MAG technology. 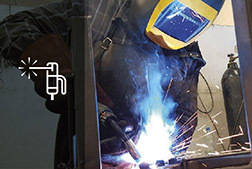 These abbreviations referred to semi-automatic metal welding that takes place in a protective atmosphere with the active MAG or inert gas MIG. 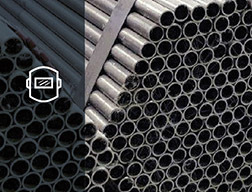 Primarily, we focus on welding steel products, but we also offer welding of aluminum products as well as alloys. As a part of the preparation of the material for subsequent welding, we also carry out self-help processes such as: rolling of closed profiles, production of rings from solid steel or strip, material cutting, stamping, drilling, bending of clamps into fittings and a number of others. In our metalwork we are able to realize single piece custom production, as well as large-volume orders we focus on. Custom production is a matter of course the processing of technical documentation. In case of large-scale production, we also carry out the production of a sample, which is used to check the product so the customer can see it and set up specifications, before commencing production itself. Our services include fully automated cabin blasting of metal products with blends of steel pellets and sharp edges. We offer affordable solutions. We offer you a free price offer based on customer requirements. We are always looking for the most technically and economically feasible solution. We offer our customers complete services in the following areas: material securing, material preparation by forming, welding, product cleaning, blasting, powder coating, packaging of the expedition. Our advantages are providing complete services from taking order to expedition of finished and packaged products with possible delivery at a competitive price. 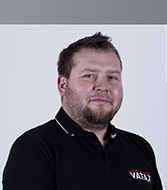 Richard is in charge of a workshop for materials preparation, welding, as well as processing of price offers and solving your needs or requirements since 2004. He is always ready to give an advise or help. If you do not get to speak with Richard, it can happen, write to him. He will get in touch with you as soon as possible.